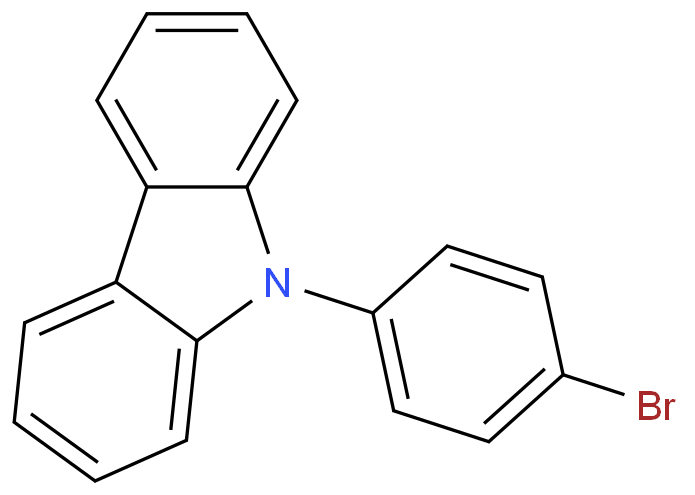 The 9-(4-Bromophenyl)carbazole, with the CAS registry number 57102-42-8, is also known as N-(4-bromophenyl)carbazole. 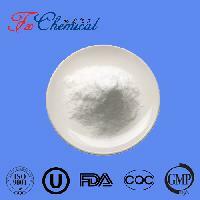 This chemical's molecular formula is C18H12BrN and formula weight is 322.20. 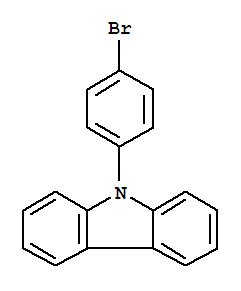 What's more, both its IUPAC name and systematic name are the same which is called 9-(4-Bromophenyl)carbazole. 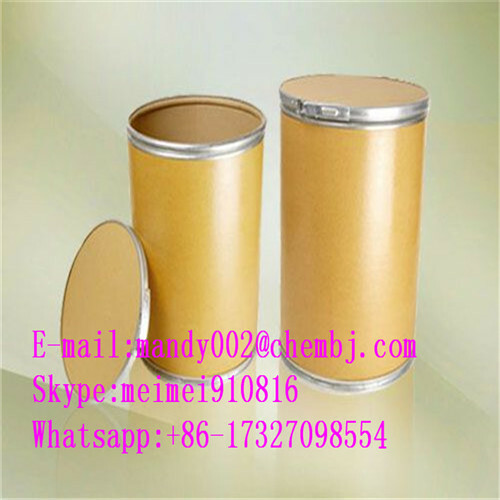 Physical properties about this chemical are: (1)ACD/LogP: 6.97; (2)# of Rule of 5 Violations: 1; (3)ACD/LogD (pH 5.5): 6.97; (4)ACD/LogD (pH 7.4): 6.97; (5)ACD/BCF (pH 5.5): 116447.37; (6)ACD/BCF (pH 7.4): 116447.37; (7)ACD/KOC (pH 5.5): 147202.06; (8)ACD/KOC (pH 7.4): 147202.06; (9)#H bond acceptors: 1; (10)#H bond donors: 0; (11)#Freely Rotating Bonds: 1; (12)Index of Refraction: 1.672; (13)Molar Refractivity: 86.81 cm3; (14)Molar Volume: 231.6 cm3; (15)Surface Tension: 47.3 dyne/cm; (16)Density: 1.39 g/cm3; (17)Flash Point: 227.6 °C; (18)Enthalpy of Vaporization: 71.19 kJ/mol; (19)Boiling Point: 452.7 °C at 760 mmHg; (20)Vapour Pressure: 2.2E-08 mmHg at 25°C.